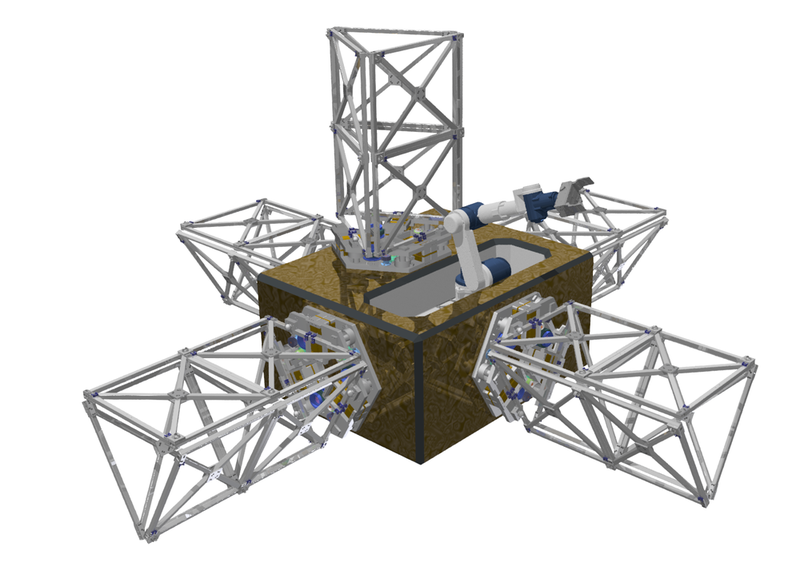 The Apeiron Space Integration System will enable the autonomous and reversible robotic construction, maintenance, and reconfiguration of persistent platforms in Low Earth Orbit via innovative interconnection of modules. The Apeiron system is comprised of common androgynous adapter ports for power, fluid, and structural connections, a robotic assembly and payload hosting module, and multiple sub-module pallets utilizing the same adapter port. This work is essential to establishing Apeiron as an enabling capability for future space science, national security, and commercial platforms that require modularity on-orbit. The Apeiron system provides a new industry standard for external payload hosting across a variety of architectures. The Apeiron Space Integration System enables a modular architecture for creating affordable autonomous persistent platforms using existing launch interfaces and payload envelopes. 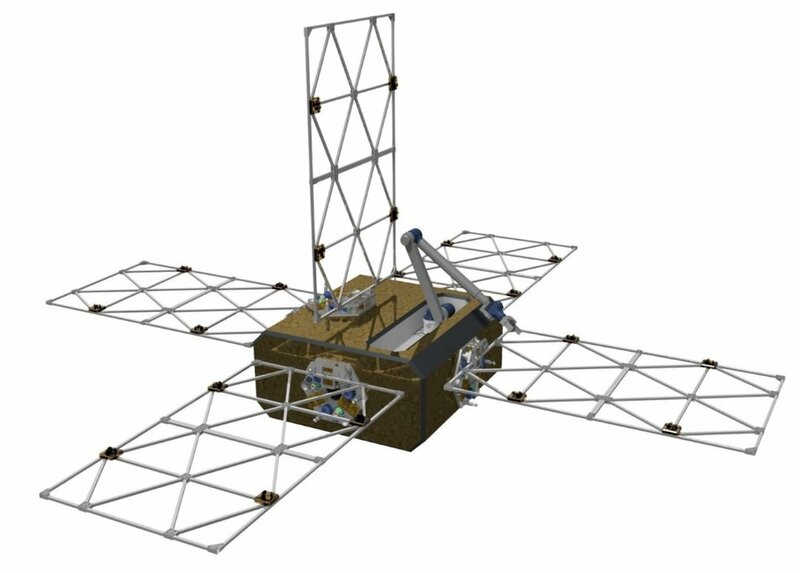 Platforms built with Apeiron provide structural stability for modules up to 5,000 kilograms, reversible attachment and consumable interfaces, and basic spacecraft control functionality so that payload designers can optimize for the mission without having to include all the additional subsystems required for free-flying satellites. The Apeiron Attachment Port (AAP) is a modular androgynous adapter port that contains power, data, and fluid connections for the persistent platform’s various subsystems, a central electrical trunk for primary power systems, a set of passive latch receivers, and an androgynous active latching mechanism. The combination of passive receivers with active latches ensures a “hard dock” capability for structural stability. The Apeiron Node (AN) is an ESPA-class module adapted from the External Augmentation of Generic Launch Elements (EAGLE) (CREATE LINK) System created by MIS for DARPA for autonomous robotic assembly and payload integration. The Apeiron Node utilizes the EAGLE robotics for module manipulation and serves as a host platform for up to six (6) AAP adapters. At least one AAP on the AN module is extendable to provide module separation. The Apeiron Sub-Module Pallet (ASP) is an evolution of the ESPA Ring developed with Moog for EAGLE. This modified ESPA Ring provides the same support for primary and secondary payloads during launch, but also separates into six flat panels for other utilization (e.g., as structural support for a phased array antenna system) after standard payloads are deployed. The ASP is one of these ESPA Ring panels outfitted on one or both sides with an AAP adapter and power and data connections for sub-modules up to 100 kg in mass. Apeiron provides a versatile infrastructure for supporting external payload and sustaining engineering operations for platforms across LEO, higher orbital altitudes, and even cislunar missions. This provides a clear path for progressively advancing new space technologies to ever more challenging environments without requiring a dedicated launch each time and could have the ability to dramatically improve the space technology refresh cycle from decades to years or months.